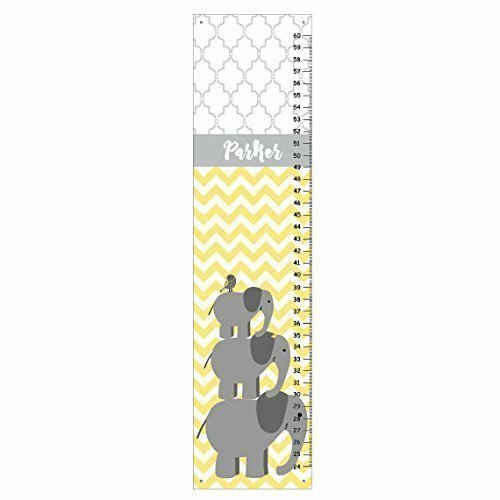 Kid'O Design Studio Elephants Growth chart, Personalized Kids room decor, Canvas growth chart, Chevron Yellow and Gray, Measures babies to adults – 24-60 inches - a memento for life. If you have any questions about this product by Kid'O Design Studio, contact us by completing and submitting the form below. If you are looking for a specif part number, please include it with your message.